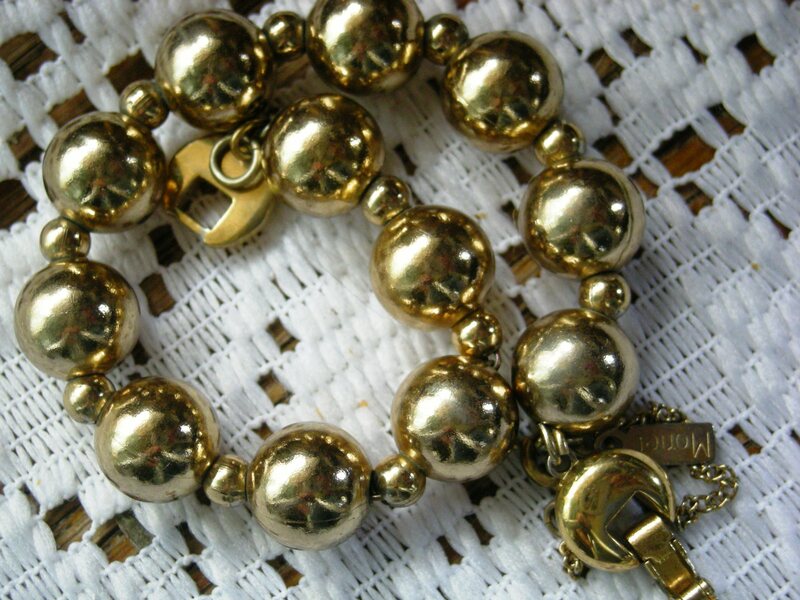 Bright gold toned spheres comprise this beaded bracelet… love metal beads, but when I spotted the “Monet” tag I knew this was a bargin. “Monet” is a better costume jewelry brand that has been sold in better department stores. Historically in Cleveland this was standard fare for Higbees Department Stores and May Company. In our day Macy’s is the store where this brand can be found. I tried to do some research on the internet, however could not determine the age of this piece. 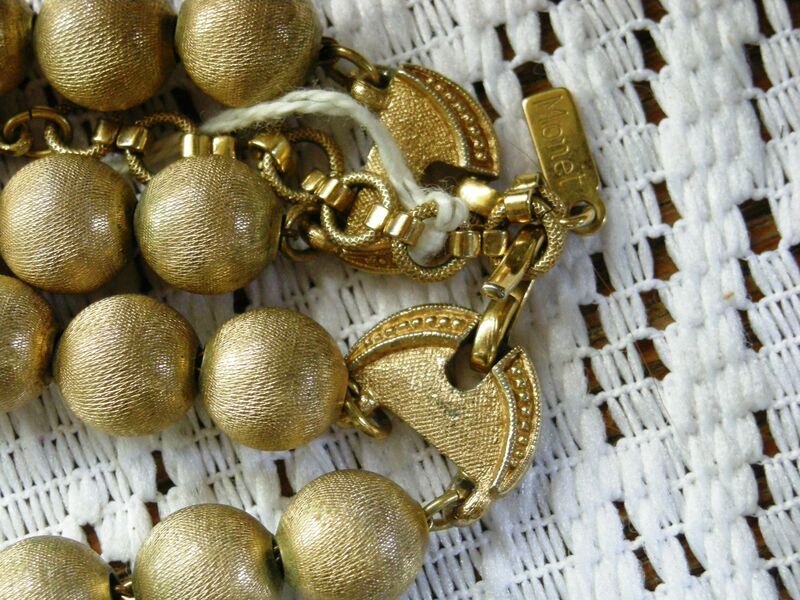 Another “Monet” find – this time a double strand necklace of a textured dull gold toned beads. The next strand I found was just fun… a black to gold mirror faded finish and definately vintage 1970s… costume but not marked. I can imagine a number of upcycle reuses for these. 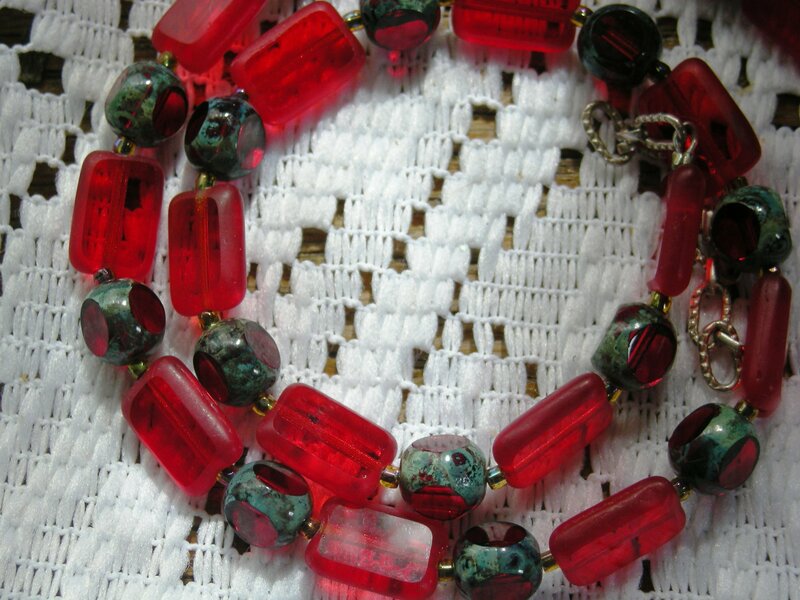 And this was the big find… fun, funky, and yet sophisticated and understated red czech glass beads. the name tag on this strand reads “Mary Millsaps” which i learned through internet searching is a jewelry company in Savannah Georgia. The website did not show this specific design, however there was a czech glass necklace of a different glass color that was very similar. I am guessing this necklace is a few years old. 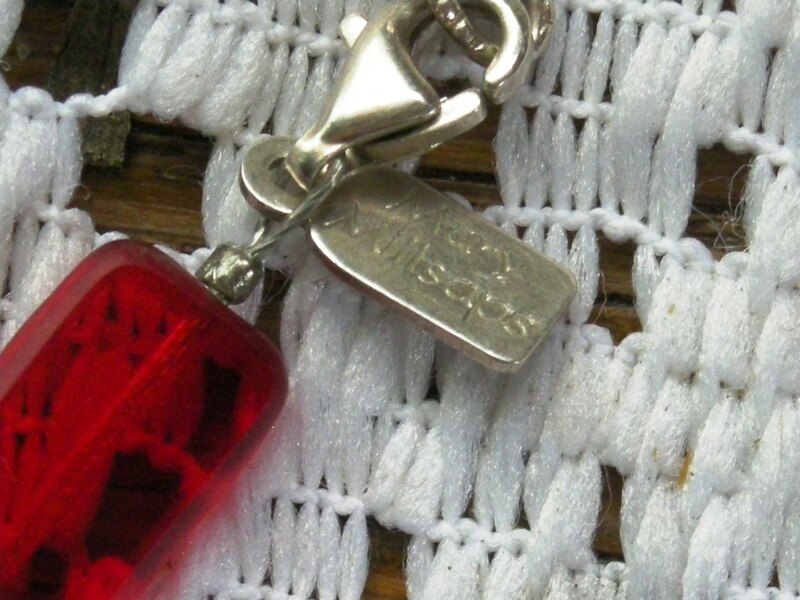 Here are two shots – a close up of the tag, and the strand. So that is some of the better things I found. Thought you might enjoy seeing them. 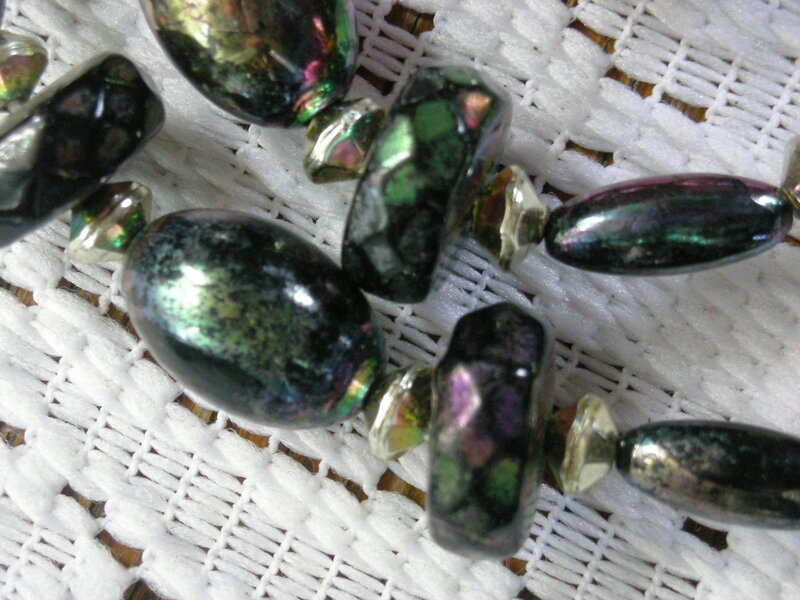 Wait for the upcycle redesign use of these beads.